Next time you want to be taken seriously, have the person you’re talking to hold something heavy. If you want people to like you, give them a warm drink. When you want to feel better about cheating, turn the lights down. It sounds crazy, but study after study has shown that these things make a difference – that what we feel affects the way we think. One of the best examples of this effect is a 2008 study done by Lawrence Williams and John Bargh. Each participant was met by an assistant in the psychology building lobby. 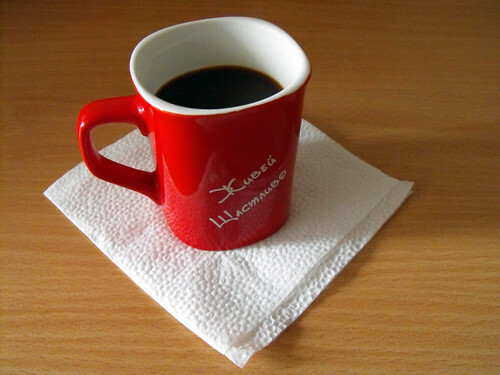 During the elevator ride to the fourth floor lab, the assistant asked the participant to hold her coffee cup for a moment while she wrote the participant’s name and the time on a clipboard. Then she took back the coffee cup and the participant went into the lab and filled out a questionnaire. Participants read that “Person A” was intelligent, skillful, industrious, determined, practical and cautious, then were asked to rate “Person A” on 10 personality traits. That’s the whole study – except for the temperature of the coffee cup in the elevator. Sometimes the assistant was carrying a cup of hot coffee and sometimes a cup of iced coffee. The study participants only held the cup for a few seconds, but those who had held the hot coffee rated the imaginary “Person A” as warmer (kinder, more friendly, more generous) than those who had held the iced coffee. In a second experiment, Williams and Bargh asked people to hold a hot or cold treatment pad, supposedly to evaluate it. After they rated it, they were offered a choice of two rewards for participating, but one item was described as a way to “treat a friend” while the other was described as a reward for the participants themselves. Regardless of what the actual reward item was (and the rewards were varied), 54% of the participants who had held a hot pad chose the reward described as “for a friend”, compared to only 25% of those who had held a cold pad. One study found that people who cleaned their hands with an antiseptic wipe before using a computer judged social issues (such as smoking, swearing and littering) to be more immoral than people who hadn’t cleaned their hands did. Another discovered that people evaluating a job candidate’s résumé perceived the candidate to have “a more serious interest” in the job if the résumé was on a heavy clipboard rather than a light clipboard. Heavy clipboards also made study participants rate public issues as more deserving of funding. The same paper reported that people sitting in hard chairs were less flexible in negotiating prices than were people sitting in soft, cushioned chairs; that people who had just solved a sandpaper-textured puzzle judged a social interaction to be more adversarial than did people who had solved a smooth puzzle; and that people who had just felt a piece of wood perceived an individual in an interaction to be more rigid than did people who had just felt a blanket. Another study found that students taking a test in a dimly lit room cheated more than students taking the same test in a brightly lit room did, and that people wearing sunglasses behaved more selfishly than people wearing identical clear glasses did. I’m sure you can imagine circumstances in which you can apply these findings to your own goals, but they also help explain some of our own behaviours. So, next time you see me being rude, please give me a warm drink and a soft chair. FYI: I’ll be posting as usual next Monday but will take Thursday, December 30th off as a holiday break. So, no post that day, but I’ll be back on Monday, January 3rd. Subscribe to comments with RSS or TrackBack to 'The world is very much with us'. It might be interest to repeat these studies and ask participants different questions. We’ve all bought theater tickets to watch actors do this in public.